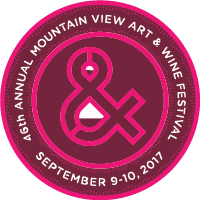 Event round-up for wine enthusiasts and music lovers for the weekends of Sept 9 and Sept 16 in the Mountain View/ Los Altos areas. In addition to the WineWalk and the Art & Wine Festival, we’re highlighting a brand new type of event, premiering at the Los Altos Tasting Room on Sept 16: A wine pairing like no other. If you have followed us for any length of time you know we have an affinity for wine and music. So we’re pretty excited about these big events coming up in the next two weekends. This two-day event takes over Castro Street from 11 a.m. to 7 p.m. Saturday and 10 a.m. to 6 p.m. Sunday (Sept. 9 and 10.) Lots of good music, gourmet food and of course, wine and artwork. For us, we’ll be on the job interviewing local wineries for our WineWednesday web cast series. Admission is free. More information is available here. 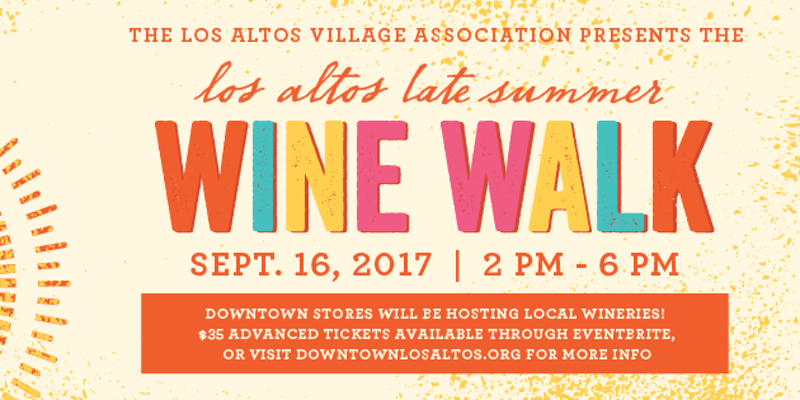 Downtown Los Altos stores will be hosting some of your favorite local wineries at the Downtown Los Altos Late Summer Wine Walk 2–6 p.m. Saturday, Sept. 16. You can enhance your shopping experience with wine tastings from a number of local vineyards. Wines will be available from Portola Vineyards, Russian Ridge, Fernwood, Creekview, Domenico, Greyscale, Wildeye, PRIE, Wrights Station, Roudon-Smith, Guglielmo, and Muccigrosso. Tickets are $35 in advance through Eventbrite.com or call 650–949–5282. This event is organized by the Los Altos Village Association. 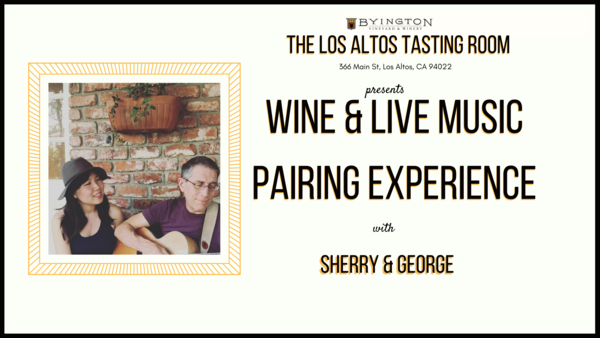 On Saturday, Sept. 16, we’ll be hosting a very unique night at the Los Altos Tasting Room, 366 Main Street, Los Altos. It will be an interactive show with a small to medium audience. A tasting is included in the ticket price. As we taste the wines, we will guide the audience through pairing the wine with music. Byington Vineyard & Winery’s award-winning wines, our cross-genre acoustic live music, and a fun experience for everybody. Tickets are $40. Or for more information, you can click here. Hope to see you there! The Tasting Room is owned and operated by the Byington Vineyard and Winery. We will be partnering with the Byington team to bring you a very unique night. We are a Los Altos based jazz-pop duo. Our sound is an eclectic mix of jazz, pop, classical and rock influences. We’re often compared to early Norah Jones, James Taylor, and The Civil Wars. Weekends of Wine and Music was originally published in WineWednesday on Medium, where people are continuing the conversation by highlighting and responding to this story.